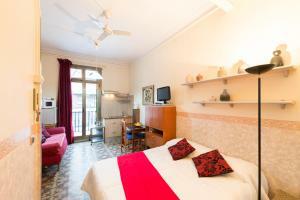 Set a 10-minute walk from the famous Sagrada Familia, Apartment Gaudí BCN is located in Barcelona. 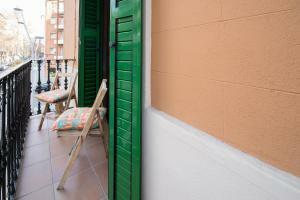 This property offers apartments and studios with free WiFi, 400 metres from Encants Metro Station. Each heated studio or apartment has a living space with a sofa and flat-screen TV, while the kitchen is equipped with a fridge, electric kettle, toaster, and microwave. The private bathroom includes a shower or bath and hairdryer. 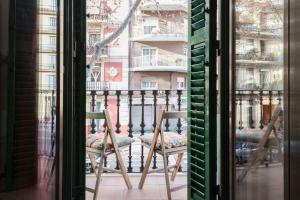 Apartment Gaudí BCN is a 15-minute walk from Catalunya National Theater, and Plaza Catalunya Square is 5 metro stations from the property. Sant Pau Hospital is 600 metres away and Guinardó Park is 20 minutes away on foot. Please note that all payments must be done in cash at the property. Credit cards are only needed to secure the booking. 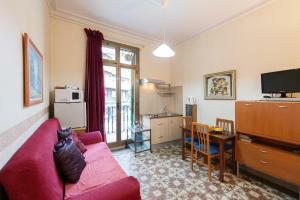 Featuring free WiFi, this apartment has 2 single bedrooms and a living space with a double bed, sofa and flat-screen TV. 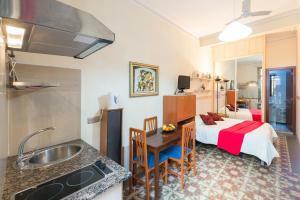 The kitchen is equipped with a fridge, electric kettle, toaster, and microwave. The private bathroom includes a shower or bath and hairdryer. 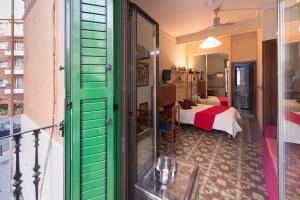 Bed linen and towels are provided, and a washing machine is available. Featuring free WiFi, this studio has a living space with a double bed, sofa and flat-screen TV, while the kitchen is equipped with a fridge, electric kettle, toaster, and microwave. 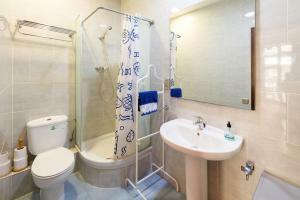 The private bathroom includes a shower or bath and hairdryer. 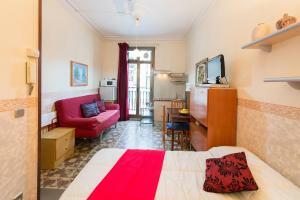 Bed linen and towels are provided, and a washing machine is available. 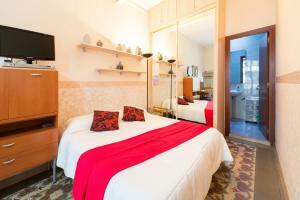 Rate: € 85.00 ... € 115.00; select dates below to get current rates.